After 10 years, the Band of Heathens find their stride. In the coming months, they will be sailing the high seas aboard Kid Rock’s 7th Annual Chillin’ The Most Cruise, hitting select markets in the Rockies, Midwest and the Southeast and are set to return to The Ride Festival in Telluride, CO with Pearl Jam and many others later in the year. For their spring and summer 2016 tours, fans will receive a free digital download of the five-song limited edition EP, Green Grass, with all advance ticket purchases. The CD version will only be available at their shows and in the web store: www.bandofheathens.com/music. For a limited time anyone can download the title track for free at http://bit.ly/BOH_GreenGrass_2016. Both new releases for 2016 feature the sonic shift in the band, straying further into their roots of a more which harnesses the rollicking energy of their live shows, and away from the more folk/singer-songwriter direction which they took with their 2013 release Sunday Morning Record. The new album also shows some new geographic influences with some of the recordings being done in Asheville, Austin, and Nashville. Outside of the Heathens recording their own tracks for this year’s releases, the band spent much of their time the last couple of years backing and recording with artists like Kid Rock, Hayes Carll, and East Nashville’s own Tim Easton. The members have also been working on a variety of other projects, with Quist, continuing to live in Austin, producing records for a handful of artists and Jurdi having moved to Asheville, NC spending some more time at home with his daughter and making rounds with a number of other songwriters. Having launched their musical career in Austin with 2006’s Live From Momo’s and 2007’s CD/DVD Live at Antone’s, as well as being honored as “Best New Band” at the Austin Music Awards (2007), 2008 saw the release of their eponymous first studio effort in a self-titled, produced by iconic Texas troubadour Ray Wylie Hubbard. That album won widespread fan approval and copious critical acclaim, as did 2009’s One Foot in the Ether, which, like its predecessor, reached the #1 slot on the national Americana radio charts. Also in 2009, the band gained substantial TV exposure, performing live sets on PBS’ Austin City Limits and the legendary German music show Rockpalast. 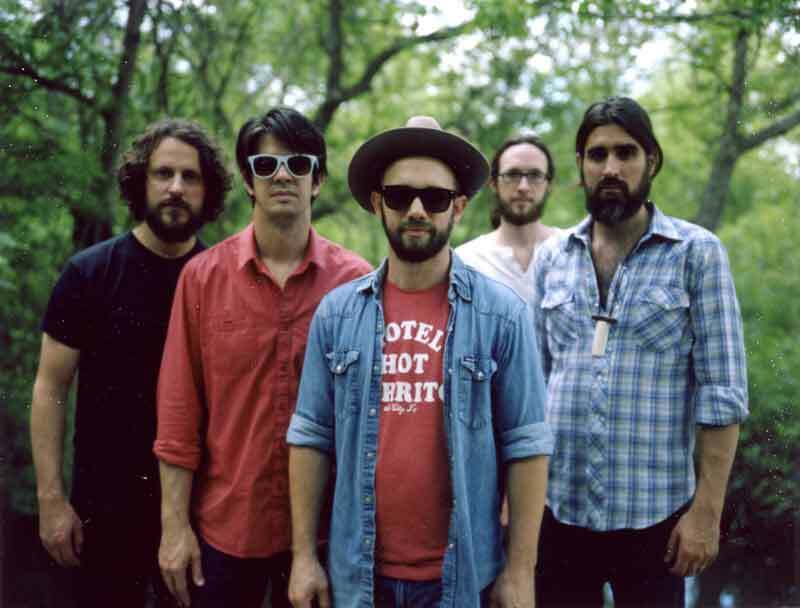 The Band of Heathens were nominated for “New Emerging Artist” at the Americana Music Association’s Awards in 2009 & “Best Duo or Group” in 2010. In 2011, the they released their third studio album Top Hat Crown and the Clapmaster’s Son, followed in 2012 by the two-CD/two-DVD set The Double Down: Live in Denver, which once again spotlighted the band’s mastery as a live unit. Keep an eye on the band’s website and social networks for more about their first full-length album since to 2013’s Sunday Morning Record, due out in the fall of 2016. Please welcome Band of Heathen’s to the Dreamspider family!